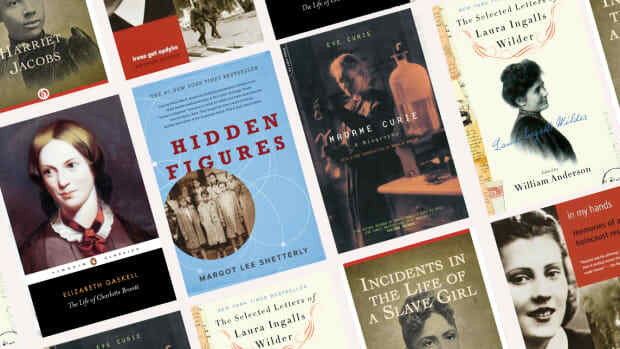 We admire literary heroines for their virtues as much as what we learn from their mistakes. 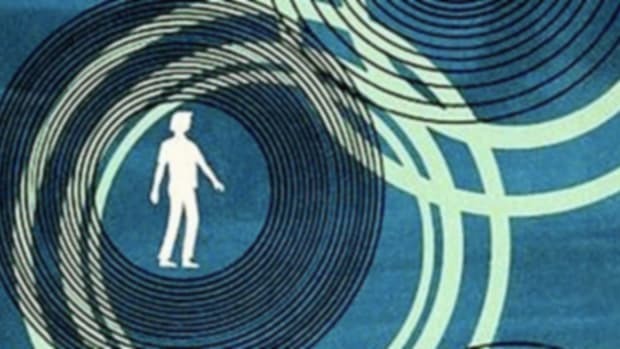 In this way, fiction can teach us about ourselves. The Myers-Briggs Type Indicator provides similar insight. More specifically, this system of typology illuminates the strengths and weaknesses of sixteen wonderfully unique personality types. It’s always a good time to revisit your personality type (although we shouldn’t hide behind our four-letter label to excuse our flaws). 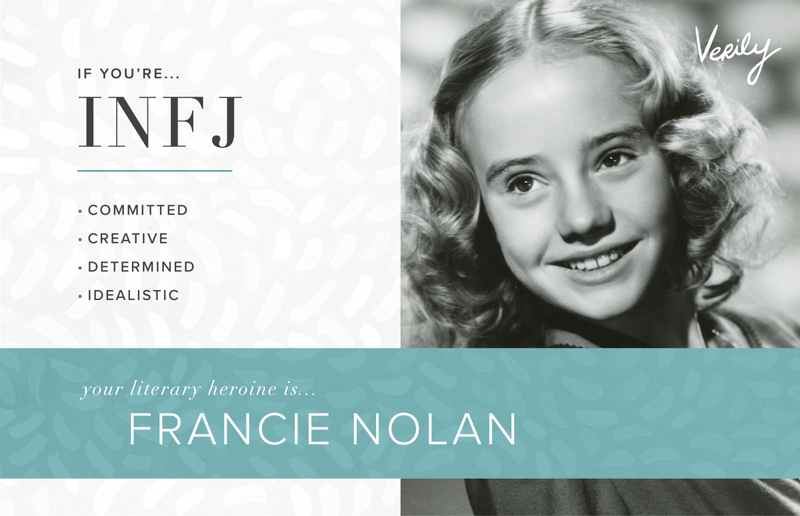 So for inspiration—and just for fun—we decided to match the sixteen possible Myers-Briggs types with sixteen beloved literary heroines. Certainly, real personality types are multifaceted, and fictional character descriptions may only skim the surface. 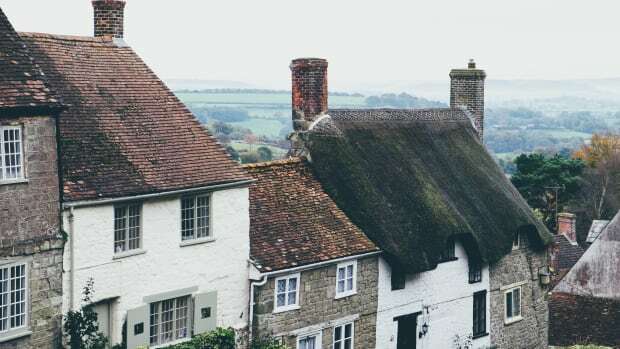 But read on, and you may be surprised how aspects of these personalities capture both the gifts and flaws of some of our favorite leading ladies. 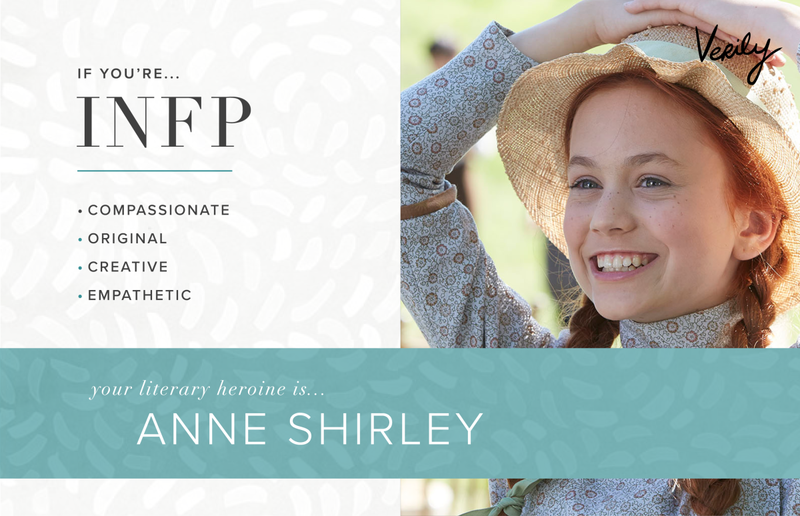 In her 1900s novel, Lucy Maud Montgomery paints Anne of Green Gables as a young woman who embodies creativity, altruism, and starry-eyed resolve—definite qualities of the INFP personality type. Her devoutly caring nature and ability to see the good in others are characteristic of this type. Anne relies on her feelings and intuition to guide her. She experiences joys and sorrows with equal intensity. Anne knows how to make the best of any situation, drawing on her rich imagination to overcome challenges. 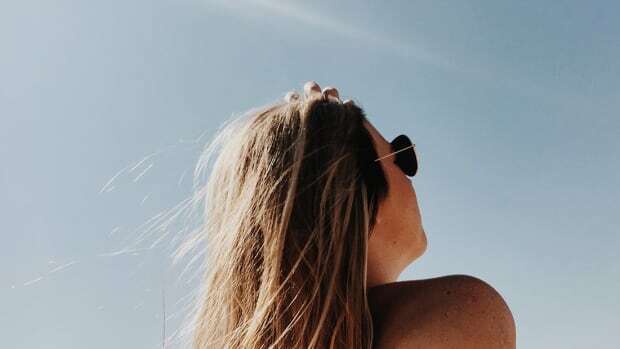 Though she spends a lot of time in her head, she’s captivated by “such an interesting world.” Purpose-driven and ambitious like the INFP, Anne hopes to better the world around her. She’s also quick to lend her hand to others. Ever the romantic, Anne sets her sights on creating a poetic, meaningful life. Natasha Rostova of Leo Tolstoy’s War and Peace radiates joy and charisma. Like a classic ENFP, she delights in life and its infinite possibilities, leaping at opportunities with gusto. For better or worse, she’s not one to look before she leaps. She brings spontaneity and infectious optimism wherever she goes, and she goes wherever her heart leads her. Natasha’s feelings sometimes overpower her, yet she’s in tune with her own emotions and attentive to how others feel. She’s observant and, when given time to herself, quite speculative. Natasha treats others with compassion and has a talent for bringing out the best in people. 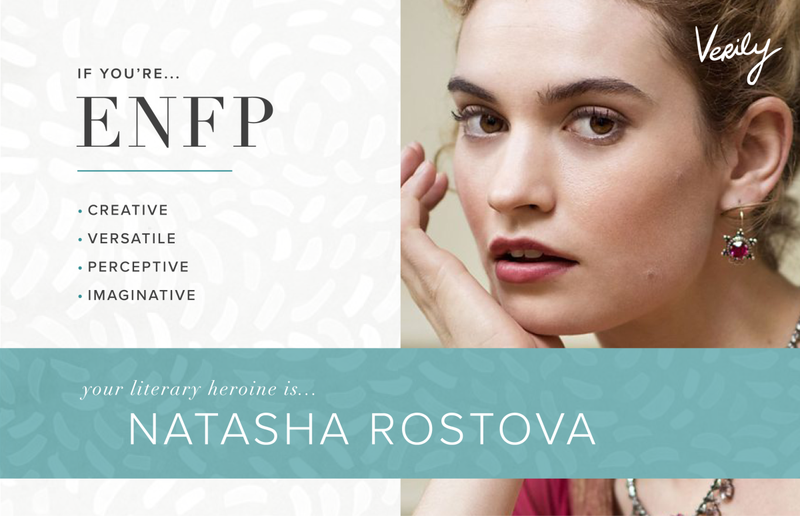 Creative and playful, Natasha inspires others without effort—just like the ENFP. Anna Karenina of Tolstoy’s classic by the same name has a magnetic charm and confidence that commands a room. Anna thrives on excitement. Though seemingly capricious at times, she’s no stranger to self-reflection or brooding. Anna lets her heart guide her, refusing to compromise her principles. Genuine and gregarious, Anna easily connects with people. She pours herself into her relationships, defining her life in terms of her love and devotion to others. Like a classic ENFJ, Anna views happiness as an investment, and she makes it her purpose to share happiness with others. Even so, she cannot be truly content when she does not live up to her ideals—she’s an idealist, after all. 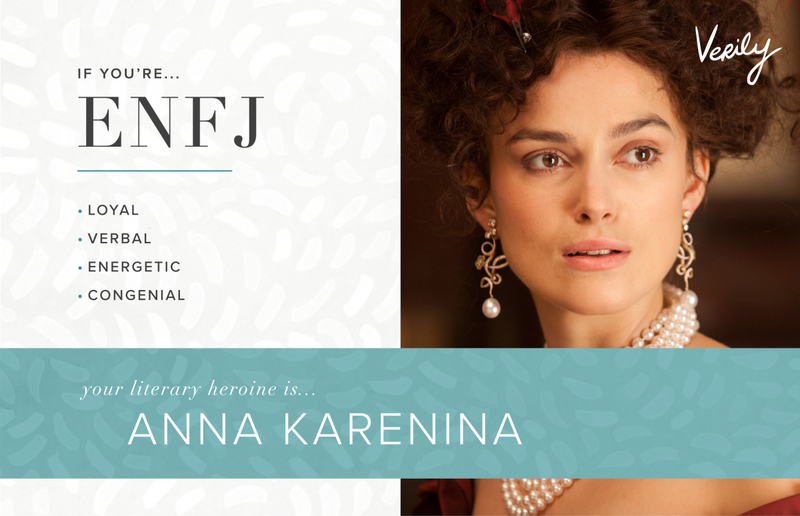 The character of Anna captures the passionate, bright spirit of the ENFJ. From Suzanne Collins’ trilogy The Hunger Games comes Katniss Everdeen, a model of resourceful independence. She’s analytical, decisive, and highly competent even under pressure. Katniss trusts her capabilities—and she has good reason to. She’s astute in her observations, objective, and mindful of the big picture. In these ways, Katniss demonstrates the INTJ’s knack for strategic planning, as she’s quick to determine logical solutions. Though Katniss keeps her feelings hidden, her compassion for others speaks through her actions. When forced into the limelight, Katniss would rather stray from the attention. Katniss questions social conventions that seem unsound. 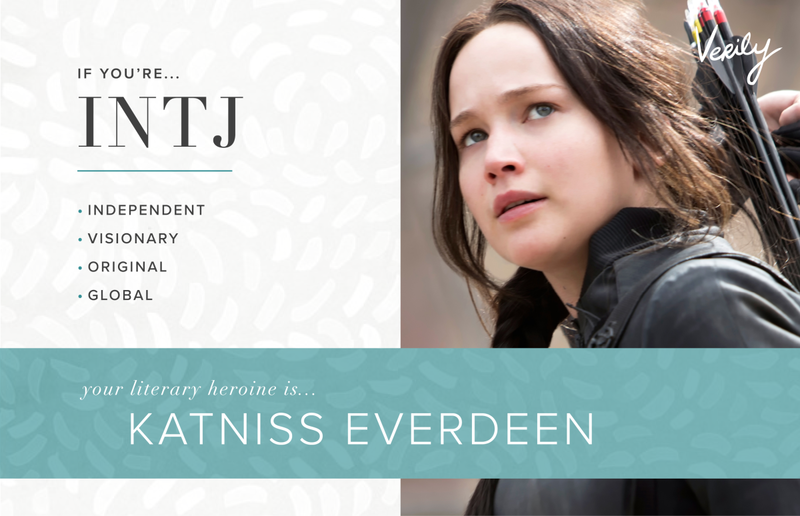 A true INTJ, Katniss thinks outside the box. 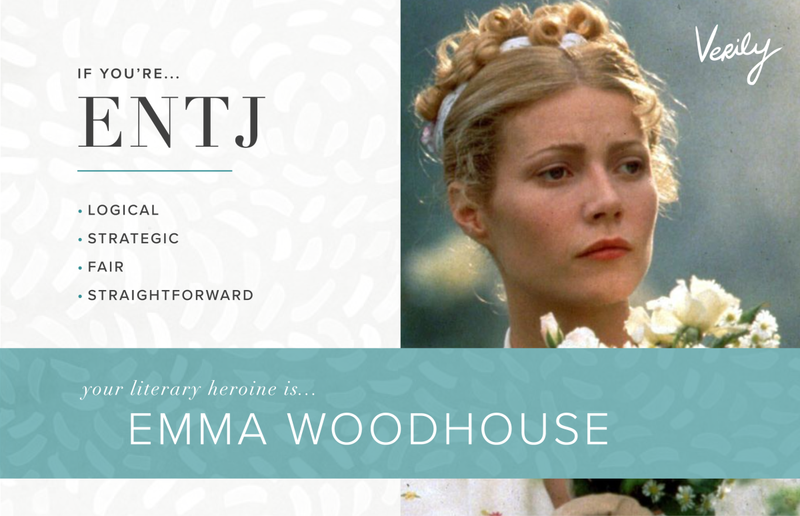 Jane Austen describes Emma as “quick and decided in her ways”; this heroine not only craves a good challenge but also trusts that she will pull off her schemes with flying colors. As demonstrated by her matchmaking, Emma sees possibilities and orchestrates plans with ease. She believes that human nature is best discerned with logic. Emma tends to misinterpret people’s feelings, including her own. She craves good company and delights in conversations that stimulate her mind, namely banter (or debates) with those whose intelligence matches hers. Emma voices her opinions with clever self-confidence, holding her own in any situation. Yet, she’s an attentive friend who wants to help her loved ones thrive. Emma possesses the energy, charisma, and fixed determination of the ENTJ. 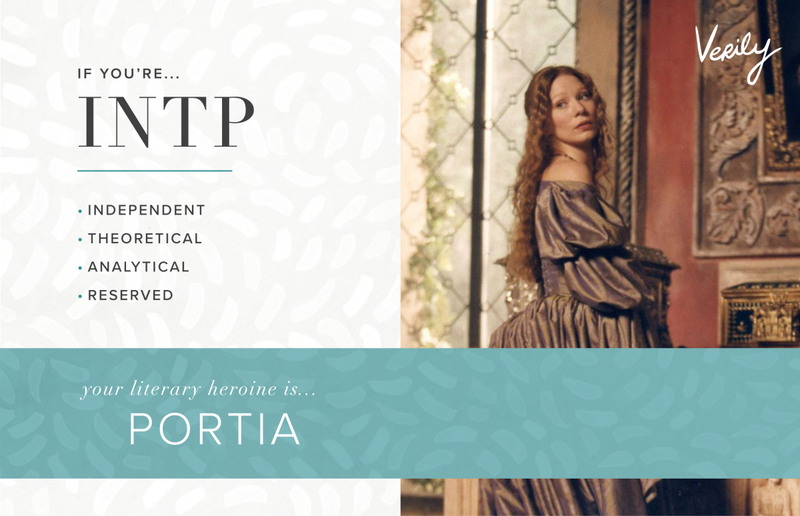 Shakespeare crafted a captivating portrayal of the INTP through Portia in The Merchant of Venice. Portia’s insight and delightful wit drive the plot of the play. Exceptionally logical, Portia is keen to analyze situations and spot discrepancies. For example, she devises a sharp solution to a conundrum that no one else can solve. Portia certainly plays her intellect to her advantage. Like an INTP, Portia values open-mindedness, which she no doubt possesses. Her temperament may be discreet and self-possessed, but her lighthearted, enthusiastic side shines around those who know her best. From her playful quips to her original, even unconventional ideas, Portia captures the creative, clever spirit of the INTP. 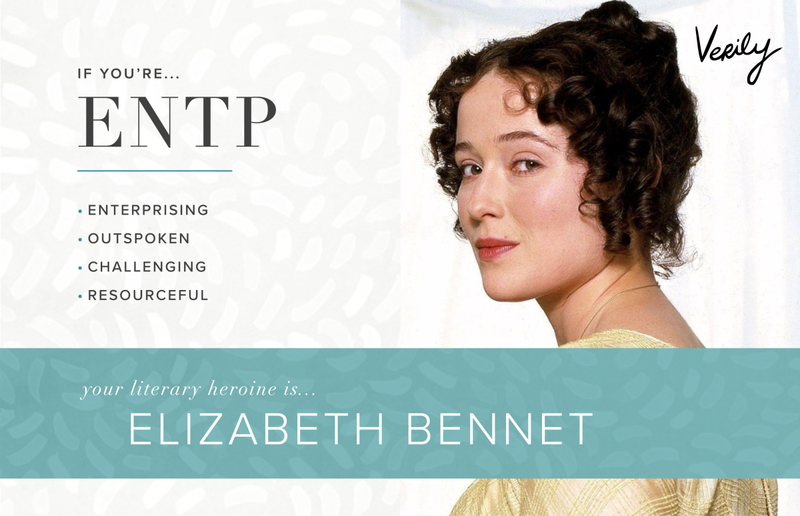 Austen’s most famous heroine known for her “lively, playful disposition,” Elizabeth Bennet of Pride and Prejudice savors spirited repartee and delights in “anything ridiculous.” Elizabeth’s enthusiasm, spontaneity, and quick thinking characterize the ENTP type. Her intellect reveals itself through her canny reasoning and dazzling wit. She’s a clever conversationalist who speaks her mind with refreshing candor, though it sometimes gets her into trouble. She’s also a capable debater, and, like the ENTP, she respects those who reciprocate her verbal jousting. Elizabeth doesn’t heed tradition; she’s unconventional in the best way. Curious, intelligent, and frank, Elizabeth is a true ENTP. 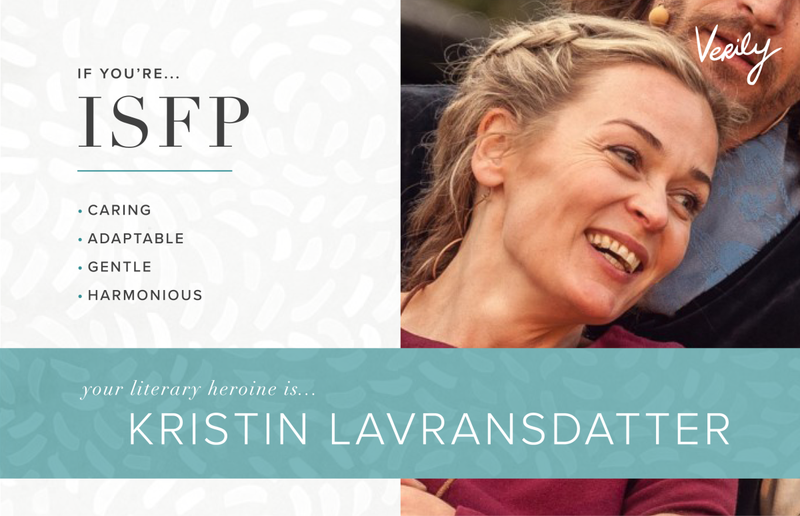 Sigrid Undset’s protagonist Kristin Lavransdatter, from her novel series of the same name, displays gentle sensitivity and an unshakable will—qualities that personify the multifaceted nature of the ISFP. Behind her reserved demeanor, Kristin is intensely passionate. Though Kristin desires harmony, she feels compelled to follow her heart in spite of the discord that sometimes ensues. Sympathy comes very naturally to Kristin, as is characteristic of the ISFP. She treats everyone with kind understanding, including those who would otherwise be rejected by society. Kristin often takes a service-oriented approach to caring for others, and she thrives in hands-on situations. Like a classic ISFP, Kristin has an eye for beauty and the splendor of nature. 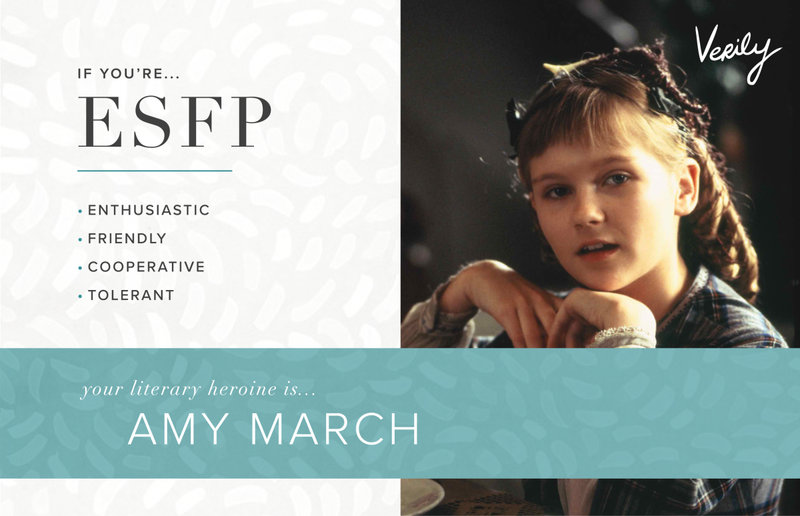 Amy March of Louisa May Alcott’s Little Women captures the lively, engaging qualities of the ESFP to perfection. When the story begins, we meet Amy as the little sister who basks in attention and who wouldn’t dare miss out on even a minute of excitement. Her playfulness and spontaneity remain with her as she matures throughout the novel. Amy’s compassionate heart and sincere concern for others blossom with age. 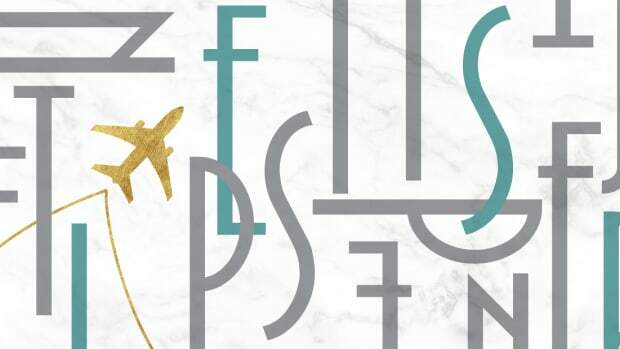 A classic ESFP, Amy has an eye for aesthetics, appreciating beauty and stylish things. She’s also quite observant. She embraces new experiences, as per her curious nature. Amy demonstrates the ESFP’s avid determination to make the most of life. Nancy Drew, the curious, adventurous, and pragmatic character created by publisher Edward Stratemeyer (and written about by numerous authors under the collective pseudonym Carolyn Keene) is an iconic sleuth who captures elements of a classic ISTP. Gutsy and independent, she works best alone or, at times, in the company of one or two close friends. Nancy not only keeps calm through a crisis; she also shines at those times. Nancy faces the most formidable challenges with optimism. After all, challenges are a chance to put her strengths to the test—such as her knack for logic and hands-on problem solving. Moreover, she’s not afraid to take risks. 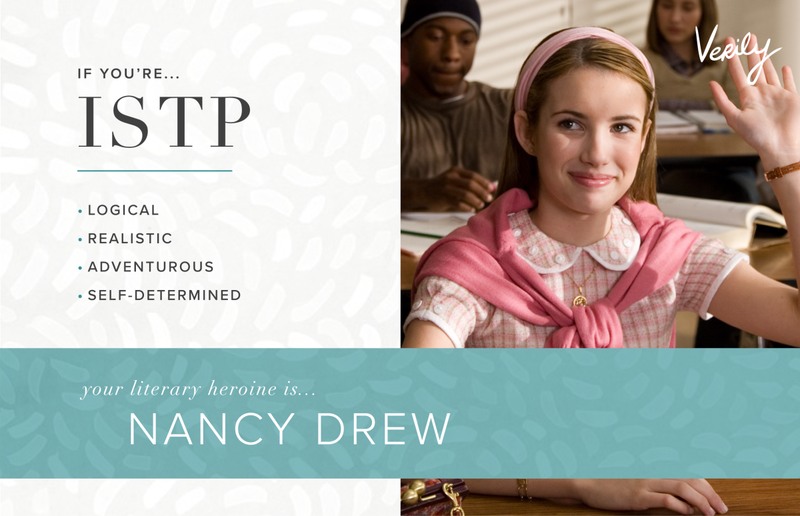 At once creative and rational, spontaneous and methodical, Nancy embodies the dichotomous nature of the ISTP. Margaret Mitchell’s literary heroine of Gone with the Wind, Scarlett O’Hara broke the mold. At the same time, her best qualities are fitting of the sharp, passionate ESTP. Scarlett’s presence commands attention. She’s known for her charm, energy, and sociability. Scarlett relishes the present moment, chasing excitement and various experiences. With spirited initiative, she tries her hand at new ventures. Scarlett certainly has brains behind her beauty, and she makes decisions based on logic and practicality. She’s shrewd in handling business affairs. She’s perceptive in her assessment of people, as well. 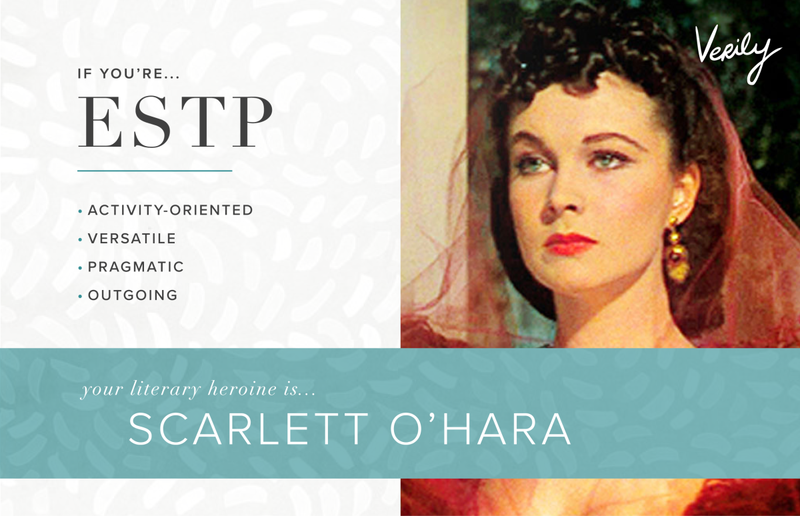 Tenacious and defiant like no other, Scarlett is as fiercely original as the ESTP type. 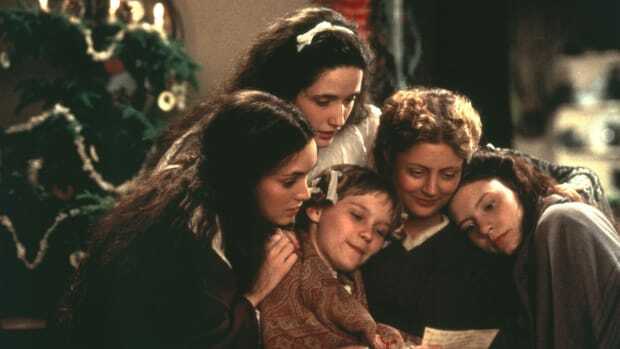 Not surprisingly, Alcott’s novel Little Women captured the complex interaction of different personalities, and we have another on this list. 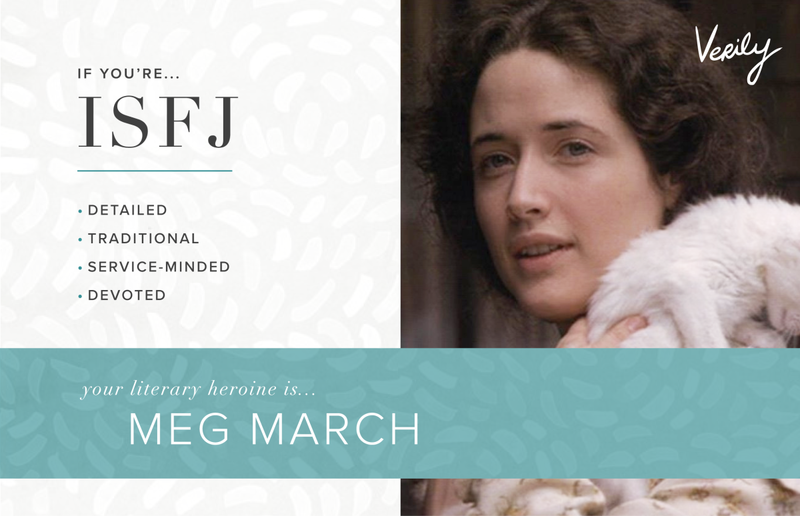 Meg March, like the ISFJ, is known for her unshakable loyalty and caring nature. Sympathetic to other people’s feelings, Meg is a source of encouragement within her family. 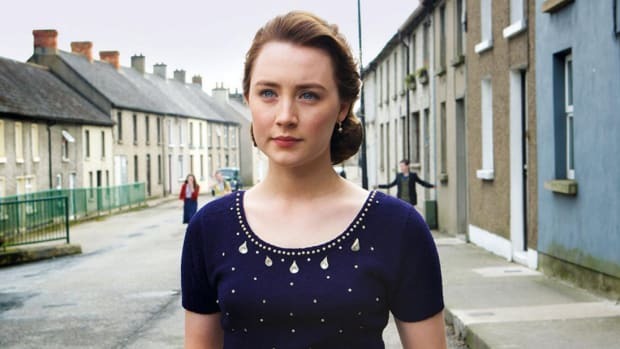 She’s sensible and sometimes serious, yet she’s also imaginative, a quality that serves her well in connecting with others. Meg prizes tradition, security, and harmony, and she does her best to maintain these values. Like a textbook ISFJ, she has a strong sense of responsibility, especially toward her loved ones. 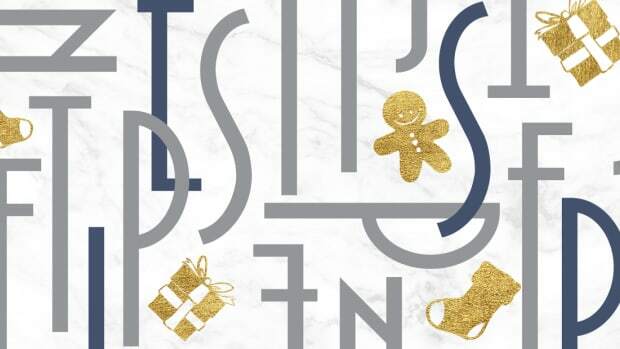 Meg is very practical in her resolve to do good, believing “the homeliest tasks get beautified if loving hands do them.” Meg exhibits many qualities of the service-oriented ISFJ. 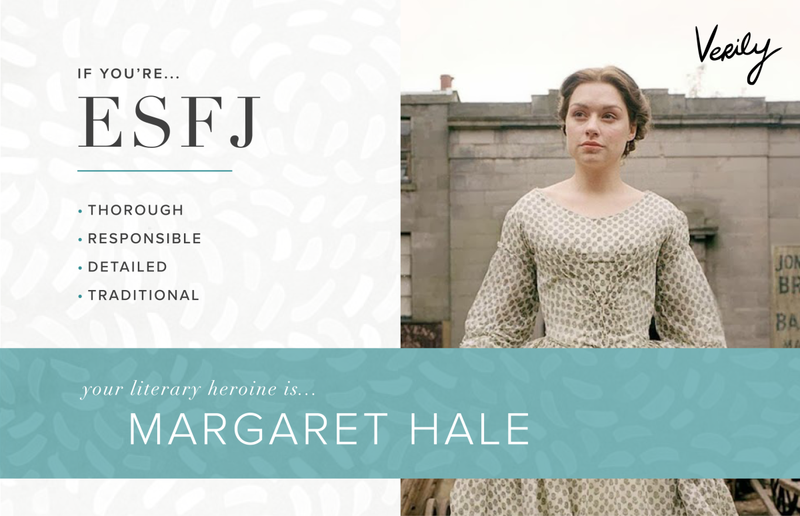 In Elizabeth Gaskell’s 1855 novel North and South, Margaret Hale embodies the friendliness and pragmatism of the ESFJ personality type. An able planner with “admirable sense,” Margaret brings order wherever she goes. Whether managing day-to-day operations at home or aiding her community, Margaret finds ways to be of service. She’s remarkably loyal, and her sense of duty drives her. Margaret strives to remain on good terms with everyone. Known as a peacemaker, Margaret writhes at conflict. By the same token, she doesn’t shy away from speaking out against injustice. Margaret expresses her emotions with candor. She’s considerate of how others feel, too, and curious to know what makes them tick. Uplifting others comes naturally to her. Sympathetic, sensitive, and strong-minded, Margaret beautifully displays the temperament of an ESFJ. 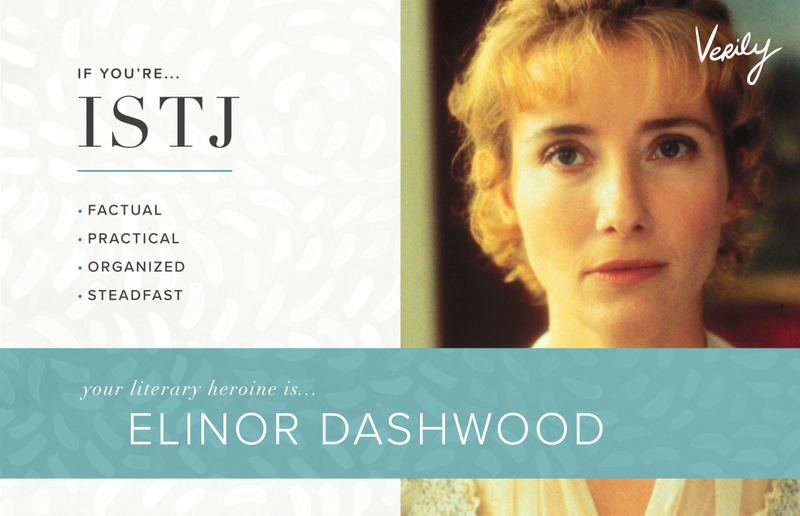 In another Austen favorite, Elinor Dashwood is dependable, composed, and—in a word—sensible, like a true ISTJ. Elinor’s affection of and devotion to her loved ones runs deep. Although her feelings are strong, she governs them well. She’s a trusted confidant, for she’s straightforward in speech and pragmatic in thought. Elinor counsels even her mother with sound advice, “a strength of understanding, and a coolness of judgment.” Elinor values honesty and integrity, and she’s responsible in every respect. She’s also conscientious, as ISTJs tend to be, and mindful of rules and social conventions. Her actions are consistent with her principles—and no matter the occasion, she always carries herself with poise. From her loyalty to logical outlook, Elinor captures the ISTJ type. 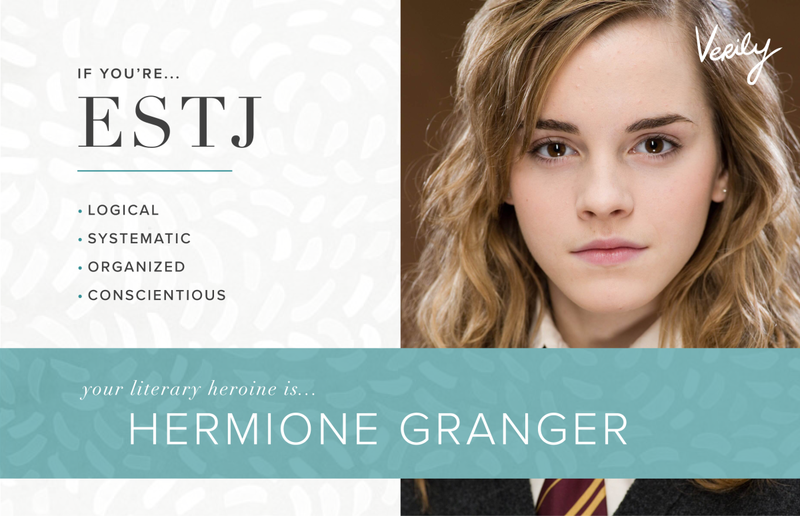 When J. K. Rowling wrote the character of Hermione in her popular Harry Potter series, she described a true ESTJ who lives by the book—often literally. Hermione honors tradition, structure, and established rules. Organization comes so naturally to her that she even dictates tasks to others, only to keep them in check. When she assumes a leadership role, Hermione knows how to bring about order, and she easily delegates rules of her own. Moreover, she leads with fairness and objectivity. Hermione’s good character and work ethic set her apart. No matter how daunting, she takes to tasks with enviable dedication. Hermione is consistent in her goals and committed to her principles. By the same token, she’s an incredibly steadfast friend. Share them all with your friends to see who’s who!